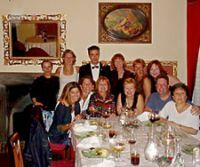 Our group of 10 spent a week in a beautiful villa in West Central Tuscany. 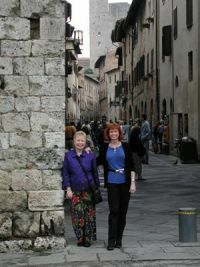 Ginger and colleague Rita accompanied the group of friends along with our own personal chef for the entire week. 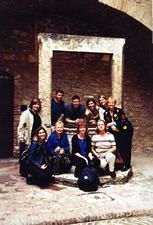 Here we are gathered around the ancient cisterna (well) in San Gimignano after a short tour with our Italian friend Gracia. Later we headed into the countryside to a small working farm for a family style lunch and the opportunity to purchase some local wine and olive oil. 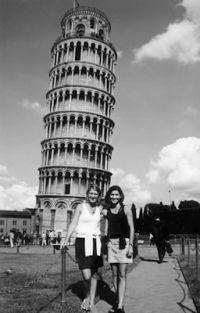 Click here to read testimonials from the Customized Tuscany Trip. 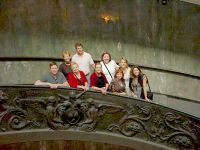 A private tour takes us to the Vatican Musuem in Rome.